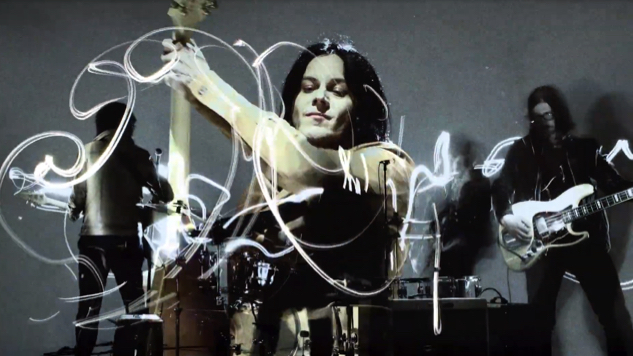 The band’s first new singles in over a decade are off an as-of-yet-untitled new album, The Raconteurs have shared two new songs (and accompanying music videos), “Sunday Driver” and “Now That You’re Gone,” off their as-of-yet-unnamed forthcoming album, due out in 2019 through Jack White’s Third Man Records. The songs mark the first new music from the band in over a decade. Their last album, Consolers of the Lonely, came out in 2008. New music from the band was first teased back in October by Third Man, and today’s new tracks were previously made available in physical form to subscribers of the label’s Vault series as part of a special edition anniversary re-release of Consolers. “Sunday Driver” was directed by Steven Sebring – acclaimed photographer, filmmaker, inventor, and vanguard in artistic 3D imaging – and captured at the Sebring Revolution Media Lab in New York City.